Products -> Rock Smart Building Blocks. Rock Smart blocks are a developer's dream come true. The block is designed with 3 holes to accommodate the finicky services such as electrical and plumbing. 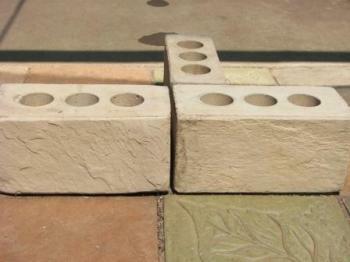 Rock Smart blocks are consistant with building requirements. Financially the Rock Smart blocks compare favourably against plaster and painted walls, as the latter is obviously not required and maintanance and upkeep are therefore very cost effective.